Wearable technology is fast becoming a key consideration wherever metals are being handled. The rise of automation is providing workers throughout the metal and manufacturing industries with new tools and technology – not just at their fingertips, but right in front of their eyes. As we speak, wearables are becoming a key consideration for the smooth running of warehouses and making life easier for those whose jobs involve the movement and management of large, awkward loads. And what about the next ten years, or the decade after that? Could wearables play a key role beyond warehouse management? 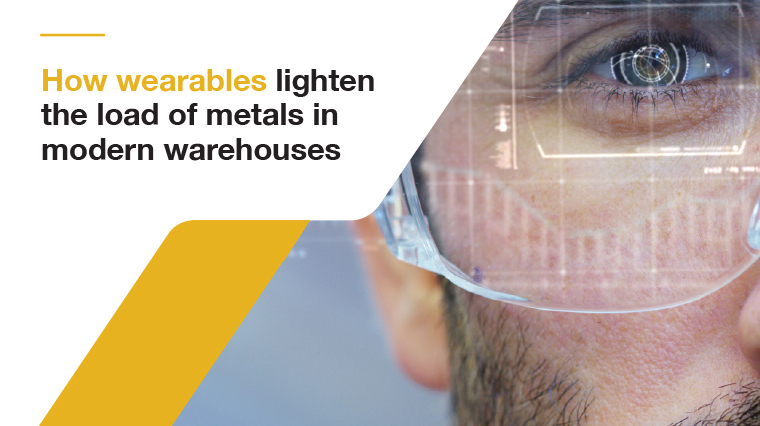 It’s time to find out just how wearables are lightening the load in modern warehouses throughout the metal industry and wherever metal is being handled. Wearables are already lightening the load in the modern warehouse. Two-way voice and video communication allows for greater oversight on the warehouse floor, while video links and HUDs provided by smart glasses have benefits in a number of areas, from on-the-job training to real-time safety information. But the future of wearables extends far beyond just providing workers with information. Over the coming years, wearable robotics will see workers handling even the largest, most unwieldy metal components with ease, allowing for an even faster, simpler and safer working environment. Within the next decade, we could very well see wearables that literally lighten the load for the manufacturing industry – at least for those companies prepared to embrace the latest developments in technology. ← Yale Giveaway – Who gives you a lift?